First Superbike race: 1 Mathew Mladin (Suzuki) 33:13.966, 2 Michael Laverty (Suzuki), 3 Benjamin Bostrom (Yamaha), 4 Larry Pegram (Ducati), 5 Blake Young (Suzuki), 6 Aaron Yates (Suzuki). British: 16 Neil Hodgson (Honda). Second: 1 Pegram 29:12.488, 2 Mladin, 3 Yates, 4 Geoff May (Suzuki), 5 Bostrom, 6 Hodgson. British: 11 Laverty. First Daytona Sportbike: 1 Chris Peris (Honda) 41:33.788, 2 Roger Hayden (Kawasaki), 3 Martin Cardenas (Suzuki), 4 Taylor Knapp (Buell), 5 Damian Cudlin (Yamaha), 6 Daniel Eslick (Buell). Second: 1 Cardenas 30:45.780, 2 Jake Zemke (Honda), 3 Jason DiSalvo, 4 Peris, 5 Daniel Eslick (Buell), 6 Knapp. British: 8 Chaz Davies (Aprilia). Supersport: 1 Leandro Mercado (Kawasaki) 24:06.580, 2 Ricky Palmer (Yamaha), 3 Joshua Day (Yamaha), 4 James Rispoli (Suzuki), 5 Russ Wikle (Suzuki), 6 Bryce Prince (Yamaha). THE honours were evenly spread in the 20th annual Pre-TT Classic on the Billown Course in the south of the Isle of Man at the start of practice week. Blackpool’s Roy Richardson won the Singles race at record-breaking pace on a 350 Aermacchi, with Roger Birkenhead taking the 250 class for the second year in succession, this time from 81-year-old Ted Fenwick. Mike Hose rode his Ariel Arrow to victory in the 250 Lightweight race at a canter, Isle of Man resident Chris McGahan the 350 and Alan Oversby the Senior 500 for a second successive year. Paul Coward of Hebden Bridge rode a Nourish Weslake twin to a popular victory in the 850 Classic at race and lap record pace, Scotsman Ewan Hamilton taking the Post-Classic honours. The Sidecar event was won by Eddie Wright and Neil Wheatley on the Windle Imp from former GP ace Ralf Engelhardt and passenger Winfried Vicenz. 350 Single Cylinder (6 laps): 1 R Richardson (Aer) 17:30.8538 – 87.358mph, 2 B Swallow (AJS), 3 C Swallow (Duc). RL: Richardson 2:52.985 - 88.447mph. 250 Single Cylinder (6 laps): 1 R Birkenhead (Duc) 20:24.260 – 74.984mph, 2 T Fenwick (Duc), 3 R Bool (Duc). FL: Fenwick 3:21.754 - 75.835mph. 250 Lightweight (9 laps): 1 M Hose (Ariel) 27:47.548 - 82.576mph, 2 D Pullen (Suz), 3 B Robertson (Suz). FL: Hose 3:01.325 - 84.379mph. 500 Senior (9 laps): 1 A Oversby (Nor) 25:05.290 - 91.477mph, 2 C Swallow (Nor), 3 Richardson. FL: Oversby 2:45.033 - 92.709mph. 500 Support (9 laps): 1 T Rufus (Hon) 28:02.924 – 81.822mph, 2 E Poole (Nor), 3 R Phipps (Nor). FL: Rufus 3:04.030 - 83.139mph. Sidecar (6 laps): 1 E Wright/N Wheatley (Imp) 18:46.474 - 81.493mph, 2 R Engelhardt/W Vicenz (BMW), 3 K Barmann/S Kiers (Wes). FL: N Houghton/P Thomas (Wes) 3:01.625 - 84.240mph. 350 Junior (9 laps): 1 C McGahan (Hon) 26:34.755 - 86.346mph, 2 M Parrett (Hon), 3 B Swallow. FL: Oversby (Hon) 2:52.096 - 88.904mph. 350 Support (9 laps): 1 B Wright (Aer) 29:54.273 - 76.744, 2 N Penny (BSA), 3 P Robertson (Hon). FL: Wright 3:15.173 - 78.392mph. 850 Classic (9 laps): 1 P Coward (Wes) 24:46.443 – 92.637mph (Record), 2 Oversby (Nor), 3 C Swallow (Nor). RL: Coward 2:42.291 – 94.275mph. Post-Classic Superbike (9 laps): 1 E Hamilton (Yam) 25:55.443 – 88.528mph, 2 S Dobbie (Kaw), 3 J O’Brien (Yam). FL: Hamilton 2.48.703 - 90.692mph. Post-Classic Support (9 laps): 1 Pullen (Yam) 29:29.978 – 77.798mph, 2 G Morss (Yam). FL: Pullen 3:14.049 – 78.846mph. Gavin Johnston was hard pressed by Jason Cash to score a double senior success at Kirkistown, Co Down on Saturday. But it was Dubliner Cash who won the organising Belfast & District Club’s feature race by the slimmest of margins. At the end of the ten lap handicap event Cash was just 0.001 of a second infront of Andrew Murphy from Limerick. Billy Byrne was a double 600 winner while Josh Cunningham collect two wins in the 125 newcomers class. First 125 Aprilia (8 laps – 12 miles): 1 L Johnston 10:49.50 – 67.04mph, 2 J Loughlin, 3 J Lynn. FL: Loughlin 1:19.33 – 68.61mph. Second (8 laps): 1 K McGreevy 10:29.38 – 69.18mph, 2 D Murphy, 3 Lynn. FL: Murphy 1:15.71 – 71.89mph. First 125 (8 laps): 1 J Cunningham 9:50.19 – 73.78mph, 2 M Conlin, 3 T Gibson (all Hon). FL: Cunningham 1:11.96 – 75.64mph. Second (8 laps): 1 Cunningham 9:37.70 – 75.38mph, 2 S Hadden (Hon), 3 Gibson. FL: Cunningham 1:10.64 – 77.05mph. First 600: 1 B Byrne (Hon) 10:48.59 – 83.92mph, 2 A Murphy (Yam), 3 A Graham (Yam). FL: Byrne 1:03.74 – 85.39mph. Second: 1 Byrne 10:45.59 – 84.31mph, 2 Murphy, 3 C Thompson (Yam). FL: Murphy 1:03.09 – 86.27mph. First Pre-97: 1 K Greaney 11:25.99 – 79.35mph, 2 C Ringland, 3 A Kenny (all Hon). FL: Kenny 1:06.65 – 81.66mph. Second: 1 P Drennan (Hon) 11:22.95 – 79.70mph, 2 Ringland, 3 Kenny. FL: Drennan 1:06.92 – 81.34mph. First Senior: 1 G Johnston (Kaw) 11:00.41 – 82.42mph, 2 J Cash (Suz), 3 P Dornan (Suz). FL: Cash 1:03.42 – 85.82mph. Second: 1 Johnston 10:52.35 – 83.44mph, 2 Cash, 3 Dornan. FL: Cash 1:03.73 – 85.41mph. First Classic (8 laps): 1 J Scott (Tri) 10:27.41 – 69.40mph, 2 S Thompson (Tri), 3 A Conroy (Hon). FL: Scott 1:16.15 – 71.47mph. Second (8 laps): 1 J Conroy (Hon) 10:12.78 – 71.06mph, 2 Scott, 3 A Conroy. FL: J Conroy 1:13.87 – 73.68mph. Invitation: 1 Cash 11:12.48 – 80.94mph, 2 Murphy, 3 R McFarland (Suz). FL: Murphy 1:02.23 – 87.46mph. Despite the rain all day at Oulton Park it did not stop Gary May jumping to the top of the Thundersport G1 championship, but it was not plain sailing. Phil Crowe led off the first start from one of the many Irish contenders Colin Lynch, but the red flag came out on the third lap. In the re-run, Lynch got the edge from Crowe and May with Mike Walker a couple of seconds down. Crowe overtook Lynch on the third of the reduced ten laps followed by May. Only 0.75 seconds separated all three at the end of the fourth lap. As Crowe and May crossed the line to start their sixth lap they were side by side going into Old Hall where May dipped underneath. They had crossed the line to start lap seven when the red flags came out again. Mike Walker was given fourth place even though he high-sided coming out of Hizzies but was not the cause of the race stoppage. Chris Mort had some bad and some good luck in the F600 race. His Triumph dropped a valve in Friday’s practice so he had to bring out his old 600 Honda. The good news was the weather as he claimed he would not have reached second if it had been dry. Glen Irwin romped ahead to take the win but Mort’s double points hoisted him up a couple of places in the championship. Thundersport GP3 (9 laps – 24.228 miles): 1 A Reid 18:46.937 – 78.581mph, 2 A Shelton, 3 B Owen (all Hon). FL: Reid 2:03.328 – 78.581mph. F600 (10 laps – 26.92 miles): 1 G Irwin (Suz) 19:43.736, 2 C Mort (Hon), 3 D Cox (Hon). Superstock 600 (10 laps): 1 R Simmonds (Hon) 19:14.507 – 85.235mph, 2 D Miles (Yam), 3 T Gazzard (Suz). FL: Simmonds 1:53.7 – 95.235mph. GP1 (6 laps – 22.152 miles): 1 G May (Yam) 11:29.149, 2 P Crowe (Suz), 3 C Lynch (Hon). FL: May 1:52.348 – 86.261mph. First Thundersport 500 (7 laps – 18.84 miles): 1 J Harrison 15:53.02, 2 N Bainbridge, 3 C Pickersgill (all Hon). FL: Pickersgill 2:13.382 – 72.657mph. Second (5 laps – 13.46 miles): 1 Harrison 11:08.047, 2 Bainbridge, 3 M Evans (Hon). FL: Harrison 2:10.45 – 74.291mph. First Aprilia Superteen (7 laps): 1 A Reid 18:11.97, 2 D Murphy, 3 B Gautrey. FL: Reid 2:34.73 – 62.63mph. Second (5 laps): 1 Reid 12:40.494, 2 Murphy, 3 M Davies. FL: Reid 2:30.132 – 64.551mph. First Junior Powerbike minitwins and streetfighter B (7 laps): 1 M Edwards (Suz) 14:56.059, 2 S Tomes (Yam), 3 C Morley (Kaw). FL: Edwards 2:03.9 – 78.21mph. Second (5 laps): 1 Edwards 10:18.72, 2 Tomes, 3 Morley. FL: R Elsmere (Apr) 2:00.601 – 80.358mph. First Junior Powerbike minitwins and streetfighter A (7 laps): 1 J Powell (Tri) 14:19.167, 2 M Price (Tri), 3 C DeTarnowsky (Duc). FL: Powell 1:59.06 – 81.397mph. Second (5 laps): 1 Powell 9:54.362, 2 Price, 3 DeTarnowsky. FL: Powell 1:55.773 – 83.709mph. First Superteen (9 laps): 1 A Shelton 13:20.150, 2 R Baldwin, 3 A Vella. FL: Shelton 1:27.229 – 80.560mph. Second (7 laps): 1 Shelton 10:25.897, 2 Baldwin, 3 J Wainwright. FL: Baldwin 1:27.435 – 80.371mph. First 250MZ (9 laps): 1 D Stimpson 13:21.348, 2 A Saunders, 3 C Rogers. FL: Stimpson 1:28.027 – 79.830mph. Second (9 laps): 1 Stimpson 13:18.814, 2 Saunders, 3 M Baldwin. FL: Stimpson 1:27.611 – 80.209mph. First Yamaha Past Masters (9 laps): 1 M Smith 12:05.124, 2 P Herron, 3 J Cooper. FL: Smith 1:19.084 – 88.857mph. second (9 laps): 1 Smith 12:07.821, 2 Herron, 3 D Wright. FL: Smith 1:19.342 – 88.568mph. First F400 (9 laps): 1 G Ball 11:48.140, 2 K Neal, 3 M Parbury. FL: Ball 1:17.438 – 90.746mph. Second (9 laps): 1 Ball 11:47.381, 2 Neal, 3 Parbury. FL: Ball 1:17.626 – 90.526mph. Stocksport 600 (9 laps): 1 A Lyon 10:47.788, 2 T Young, 3 L Lyon. FL: A Lyon 1:10.668 – 99.440mph. First Thunderbike (9 laps): 1 S Jordan 11:32.643, 2 G Budgen, 3 J Duggan. FL: P Read 1:15.110 – 93.559mph. Second (9 laps): 1 Jordan 11:34.199, 2 Read, 3 Budgen. FL: Read 1:15.982 – 92.485mph. First Open Rookie (8 laps): 1 J Byard 10:01.651, 2 D Johnson, 3 B Beckett. FL: Byard 1:13.633 – 95.435mph. Second (9 laps): 1 Byard 11:12.482, 2 Johnson, 3 J Phare. FL: Byard 1:13.106 – 96.123mph. Powerbike (9 laps): 1 M Lister 10:29.382, 2 P Baker, 3 S Bishop. FL: Bishop 1:08.959 – 101.904mph. Sidecars (9 laps): 1 Peach/Richardson 10:53.988, 2 Lovelock/Lawrence, 3 Gilbert/Howard. FL: Peach 1:11.031 – 98.931mph. First Superteen (10 laps): 1 A Jones 15:27.393, 2 Baldwin, 3 J Jones. FL: Shelton 1:27.839 – 80.001mph. Second (8 laps): 1 A Vella 12:55.201, 2 Shelton, 3 Wainwright. FL: Vella 1:33.334 – 75.291mph. First 250MZ (10 laps): 1 Saunders 14:57.334, 2 M Baldwin, 3 G Spencer. FL: Stimpson 1:27.158 – 80.626mph. Second (5 laps): 1 Stimpson 8:02.405, 2 Baldwin, 3 N Murton-Jones. FL: Stimpson 1:34.162 – 74.629mph. First Yamaha Past Masters (10 laps): 1 Smith 17:28.982, 2 Parbury, 3 Wright. FL: Smith 1:40.800 – 69.714mph. Second (8 laps): 1 Smith 10:54.724, 2 Herron, 3 Wright. FL: Smith 1:19.786 – 88.076mph. First F400 (10 laps): 1 Ball 14:48.030, 2 Parbury, 3 K Neal. FL: Parbury 1:26.706 – 81.046mph. Second (8 laps): 1 Ball 10:28.649, 2 Neal, 3 P Polden. FL: Ball 1:17.446 – 90.737mph. First Stocksport 600: 1 A Lyon 16:47.247, 2 L Lyon, 3 G Whitaker. FL: A Lyon 1:10.291 – 99.973mph. Second (12 laps): 1 S Gardner 16:36.542, 2 D Tinkler, 3 D Imberg. FL: L Lyon 1:20.115 – 87.714mph. First Thunderbike (10 laps): 1 Read 14:39.264, 2 Jordan, 3 Budgen. FL: Read 1:25.417 – 82.269mph. Second (8 laps): 1 Read 10:14.728, 2 Jordan, 3 Budgen. FL: Read 1:15.641 – 92.902mph. First Open Rookie (7 laps): 1 B Beckett 10:04.242, 2 Johnson, 3 A Hoar. FL: Beckett 1:23.610 – 84.047mph. Second (5 laps): 1 Johnson 6:26.406, 2 Beckett, 3 B Neeves. FL: Byard 1:14.768 – 93.987mph. First Powerbike (14 laps): 1 Baker 18:30.812, 2 Bishop, 3 O Henderson. FL: Biship 1:17.407 – 90.782mph. Second (12 laps): 1 Bishop 14:01.712, 2 Baker, 3 B Chapman. FL: Bishop 1:09.271 – 101.445mph. First sidecar (10 laps): 1 Gilbert/Friend 14:35.588, 2 Peach, 3 Lovelock. FL: Peach 1:25.778 – 82.923mph. Second (12 laps): 1 Peach 14:31.346, 2 Lovelock, 3 Bygrave/Ryder. FL: Peach 1:11.615 – 98.125mph. First 700 Streetstocks: 1 N Andrews (Suz) 8:42.42 – 74.76mph, 2 S Wynne (Tri), 3 M Billington (Tri). FL: Wynne 76.80mph. Second (6 laps): 1 Andrews 10:20.70 – 75.51mph, 2 Billington, 3 Wynne. FL: Andrews 1:41.81 – 76.73mph. First 1300 Streetstocks: 1 A Shaw 8:14.97 – 78.91mph, 2 H Philips, 3 J Kiff (all Suz). FL: Shaw 1:37.46 – 80.15mph. Second (6 laps): 1 Shaw 9:49.98 – 79.44mph, 2 Kiff, 3 A Jeffery (Suz). FL: Shaw 1:36.33 – 81.09mph. First Pre-injection, Pre-2001: 1 T Evans (Hon), 2 D Greenway (Yam). FL: Greenway 1:47.95 – 72.36mph. Second (6 laps): 1 Greenway 11:09.10 – 70.05mph, 2 Evans. FL: Greenway 1:49.24 – 71.51mph. First Sound of Thunder (3 laps): 1 F Nickless (Tri) 4:58.26 – 78.57mph, 2 D Alexander (Apr), 3 L Watts (Duc). FL: Nickless 1:37.75 – 79.91mph. Second (6 laps): 1 Alexander 10:05.46 – 77.41mph, 2 L Watts, 3 D Gibson (Duc). FL: Gibson 1:39.39 – 78.59mph. First Mini Twins (3 laps): 1 R Troth 5:25.64 – 71.96mph, 2 S Sweetman, 3 C Wilson (all Suz). FL: Sweetman 1:44.75 – 74.57mph. Second (6 laps): 1 Wilson 10:43.73 – 72.81mph, 2 Sweetman, 3 Troth. FL: Sweetman 1:44.74 – 74.58mph. First F400: 1 D Frear (Kaw) 8:28.03 – 76.88mph, 2 C Beverley (Hon), 3 B Marsden (Hon). FL: Frear 1:38.40 – 79.39mph. Second (6 laps): 1 Frear 10:03.15 – 77.71mph, 2 Beverley, 3 T Bradley (Yam). FL: Frear 1:38.77 – 79.09mph. First 400 two-stroke: 1 T Davies (Yam) 8:39.88 – 75.13mph, 2 N Palmer, 3 S Nicholson (Hon). FL: Davies 1:41.12 – 77.25mph. Second (6 laps): 1 Davies 10:16.43 – 76.03mph 2 Palmer, 3 Nicholson. FL: Palmer 1:41.52 – 76.95mph. First 400 streetstocks (2 laps): 1 M Parkhouse (Kaw) 3:40.19 – 70.95mph, 2 R Rout (Kaw), 3 J Francis (Hon). FL: Parkhouse 1:46.63 – 73.26mph. Second (6 laps): 1 Parkhouse 11:17.04 – 69.23mph, 2 Rout, 3 Francis. FL: Parkhouse 1:50.87 – 70.46mph. First 125GP (2 laps): 1 D Moreton 3:32.23 – 73.61mph, 2 A Mulrine, 3 A Ray (all Hon). FL: Moreton 1:41.90 – 76.66mph. Second (6 laps): 1 Moreton 10:22.66 – 75.27mph, 2 Ray, 3 Mulrine. FL: Moreton 1:41.84 – 76.70mph. First F125 (2 laps): 1 B Hughes 3:59.21 – 65.31mph, 2 J Bird, 3 T Williams (all Apr). FL: Hughes 1:54.80 – 68.04mph. Second (6 laps): 1 Hughes 11:42.08 – 66.76mph, 2 Bird, 3 S Wilson (Apr). FL: Hughes 1:53.77 – 68.66mph. First 600 (2 laps): 1 J Day (Yam) 3:16.45 – 79.53mph, 2 T Fisher (Kaw), 3 C Beverley (Hon). FL: Day 1:36.22 – 81.18mph. Second (6 laps): 1 G Frear (Hon) 9:36.67 – 81.28mph, 2 D Frear (Yam), 3 Day. FL: G Frear 1:34.53 – 82.64mph. First Powerbikes (4 laps): 1 R Cooper 6:16.84 – 82.92mph, 2 P Bevan, 3 L Keeble (all Yam). FL: Cooper 1:32.53 – 84.42mph. Second (6 laps): 1 Cooper 9:26.58 – 82.72mph, 2 B Mellor (Hon), 3 Bevan. FL: Cooper 1:32.32 – 84.61mph. Open (7 laps): 1 R Cooper (Yam) 10:54.08 – 83.60mph, 2 B Mellor (Hon), 3 P Bevan (Yam). FL: Cooper 1:31.93 – 84.97mph. 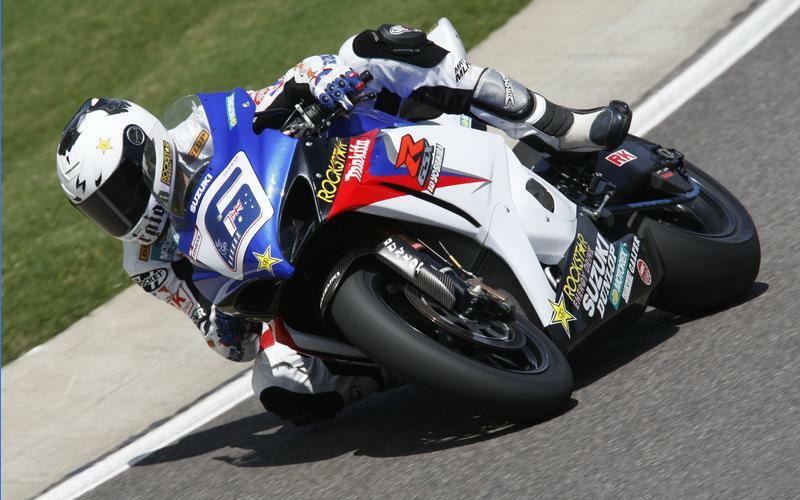 Suzuki GSX-R Trophy (12 laps): 1 R Connolly 19:50.09 – 78.77mph, 2 M Cheetham, 3 C Hawkes. FL: Connolly 1:37.59 – 80.04mph. 250GP ACU national championship (10 laps): 1 J Davis 16:02.77 – 81.14mph, 2 A Sawford, 3 M Davies (all Yam). FL: Davis 1:34.17 – 82.95mph. 250GP NG cup (10 laps): 1 D Hampton (Hon) 17:26.07 – 74.67mph, 2 J Stamper (Yam), 3 L Goddard (Hon). FL: Stamper 1:41.44 – 77.01mph. Co-Ordit Relay challenge: 1 Day 9:42.76 – 80.43mph, 2 T Fisher (Kaw), 3 A Friedrich (Suz). FL: Day 1:35.70 – 81.63mph. First open sidecars: 1 Lobley/Tritton 8:41.84 – 74.85mph, 2 Robinson/Smithies (Yam), 3 Drowne/Wimm (Suz). FL: Lobley 1:40.66 – 77.60mph. Second (6 laps): 1 Lobley 10:18.40 – 75.79mph, 2 Drowne, 3 Riley/Farmer (Bak). FL: Lobley 1:39.47 – 78.53mph. First F2 sidecars: 1 Bennett/Perry (Hon) 9:08.96 – 71.15mph, 2 R/Annette Daykin (Yam), 3 Walczak/Miller (Hon). FL: Bennett 1:46.87 – 73.09mph. Second (6 laps): 1 Bennett 10:57.97 – 71.23mph, 2 Lillie/Watson (Yam), 3 Walczak/Miller (Ire). FL: Lillie 1:46.64 – 73.25mph. First Newcomers: 1 J Kiff (Suz) 8:19.78 – 78.15mph, 2 D Lane (Yam), 3 D Bedwell (Suz). FL: Kiff 1:38.24 – 79.51mph. First 400 Newcomers: 1 T Llewellyn 8:51.49 – 73.49mph, 2 W Leaning (Kaw), 3 S Witts (Suz). FL: Llewellyn 1:44.28 – 74.91mph. First 700 streetstocks: 1 S Wynne (Tri) 8:36.70 – 75.59mph, 2 N Andrews (Suz), 3 S Gibbons (Tri). FL: J Stamper 1:41.44 – 77.01mph. Second (3 laps): 1 Wynne 5:56.55 – 65.72mph, 2 Gibbons, 3 N Andrews (Suz). FL: Wynne 1:56.20 – 67.22mph. First 1300 streetstocks: 1 Kiff 8:25.24 – 77.30mph, 2 A Rothery (Yam), 3 A Jeffery (Suz). FL: Kiff 1:38.78 – 79.08mph. Second (3 laps): 1 P Carr (Yam) 5:42.05 – 68.51mph, 2 Kiff, 3 Jeffery. FL: Carr 1:50.18 – 70.90mph. First Sound of Thunder: 1 D Alexander (Apr) 9:29.98 – 68.52mph, 2 J Power (Duc), 3 D Gibson (Duc). FL: Power 1:50.95 – 70.41mph. Second: 1 Alexander 9:53.93 – 65.76mph, 2 Power, 3 Gibson. FL: Alexander 1:57.51 – 66.47mph. First Minitwins: 1 S Sweetman 10:12.89 – 63.73mph, 2 S Witts, 3 R Troth (all Suz). FL: Sweetman 2:00.09 – 65.05mph. Second: 1 Sweetman 10:20.09 – 62.99mph, 2 Witts, 3 C Wilson (Suz). FL: Sweetman 2:00.02 – 65.08mph. First F400: 1 C Beverley (Hon) 9:16.62 – 70.17mph, 2 D Frear (Kaw), 3 M Haynes (Hon). FL: Beverley 1:49.61 – 71.27mph. Second (3 laps): 1 D Frear 5:46.32 – 67.67mph, 2 W Leaning (Kaw), 3 T Bradley (Yam). FL: D Frear 1:51.92 – 69.79mph. First 400 two strokes: 1 T Davies (Yam) 9:33.21 – 68.14mph, 2 P Hedison (Hon), 3 S Nicholson (Hon). FL: Davies 1:51.50 – 70.06mph. Second (3 laps): 1 Davies 5:45.87 – 67.75mph. FL: Davies 1:52.40 – 69.50mph. First 400 streetstocks: 1 M Parkhouse (Kaw) 10:03.12 – 64.76mph, 2 J Francis (Hon), 3 S Hale (Hon). FL: Parkhouse 1:58.00 – 66.20mph. Second: 1 Parkhouse 11:00.18 – 59.16mph, 2 Hale, 3 Francis. FL: Parkhouse 2:08.49 – 60.79mph. First 125GP: 1 D Moreton 9:00.76 – 72.23mph, 2 A Mulrine, 3 S Burman (all Hon). FL: Moreton 1:44.26 – 74.92mph. Second: 1 Moreton 9:50.00 – 66.20mph, 2 A Ray (Hon), 3 J-H Eversfield (Hon). FL: Moreton 1:55.35 – 67.72mph. First F125: 1 K Butler 10:47.25 – 60.30mph, 2 J Bird, 3 S Wilson (all Apr). FL: Butler 2:04.70 – 62.6mph. Second: 1 Bird 11:03.49 – 58.87mph, 2 Wilson, 3 B Hughes. FL: Bird 2:08.90 – 60.60mph. First 600: 1 J Day 8:17.25 – 78.55mph, 2 D Frear, 3 D Hipwell (all Yam). FL: Frear 1:37.24 – 80.33mph. Second (4 laps): 1 Hipwell 7:25.78 – 70.09mph, 2 D Frear, 3 J Leaning (Yam). FL: Hipwell 1:48.54 – 71.97mph,. Open (6 laps): 1 P Bevan (Yam) 10:43.81 – 72.80mph, 2 J Day (Yam), 3 M Compton (Suz). FL: Bevan 1:45.22 – 74.24mph. Powerbikes: 1 R Cooper (Yam) 8:02.25 – 80.99mph, 2 P bevan (Yam), 3 B Mellor (Hon). FL: Mellor 1:34.22 – 82.91mph. 250GP ACU National Championship (13 laps): 1 M Davies (Yam) 23:42.10 – 71.41mph, 2 A Sawford (Yam), 3 C McAloran (Hon). FL: Davies 1:47.15 – 72.90mph. 250GP NG Cup (13 laps): 1 J Stamper (Yam) 25:21.43 – 66.75mph, 2 D Hampton, 3 A Martin (Hon). FL: Stamper 1:52.23 – 69.60mph. Co-Ordit Relay Challenge (4 laps): 1 T Fisher (Kaw) 8:12.23 – 63.48mph, 2 A Friedrich (Suz). FL: Fisher 2:01.30 – 64.40mph. First open sidecars: 1 Lobley 9:01.62 – 72.11mph, 2 Robinson, 3 Bennett/Perry (Hon). FL: Lobley 1:42.50 – 76.21mph. Second (6 laps): 1 Robinson 12:47.28 – 61.08mph, 2 Lilie, 3 Bennett. FL: Drowne 2:03.43 – 63.29mph. First F2 sidecars: 1 Bennett/Perry (Hon) 9:14.21 – 70.47mph, 2 Lillie, 3 Rabin/Jones (Suz). FL: Bennett 1:48.39 – 72.07mph. Second (6 laps): 1 Lillie 12:48.36 – 61mph, 2 Bennett, 3 Rabin. FL: Lillie 2:04.92 – 62.53mph. Darlington racer Stephen Degnan cracked the whip at Elvington on Sunday winning four races then taking a second and third places on the Auto 66 programme. While Degnan bossed the Earl of Elvington three race session and the Super 1 event fourteen year old Stockton youth Richard Ferguson flew in the F125 events chalking up three race wins. First F 125: 1 S Pickering, 2 N Tate, 3 N Chiode (all Apr). Second: 1 J Thackeray, 2 Tate, 3 Chiode (all Apr). Third: 1 Thackeray, 2 Tate, 3 Chiode. First GP 125: 1 R Ferguson, 2 M Goodings, 3 A Fisher (all Hon). Second: 1 Ferguson, 2 Fisher, 3 Sarah Boyes (all Hon). Third: 1 Ferguson, 2 Fisher, 3 Boyes. First F 400: 1 A Furniss (Yam), 2 A Asquith (Kaw), 3 A Healey (Hon). Second: 1 Furniss, 2 Asquith, 3 Healey. Third: 1 Furniss, 2 Asquith, 3 K Livesay (Apr). First F 600: 1 S Ferguson (Yam), 2 G Stainthorpe (Yam), 3 P McGurk (Hon). Second: 1 Ferguson, 2 Stainthorpe, 3 McGurk. Third: 1 Ferguson, 2 Stainthorpe, 3 J Barker (Hon). First Formula Libre: 1 M Atkinson (Hon), 2 P Smith (Yam), 3 A Powell (Hon). Second: 1 Atkinson, 2 Smith, 3 Powell. Third: 1 Atkinson, 2 Smith, 3 Powell. First Formula Lites: 1 R Pickering (Yam), 2 A Furniss (Yam), 3 Asquith. Second; 1 Pickering, 2 Asquith, 3 Furniss. Third: 1 Pickering, 2 Furniss, 3 Asquith. First Super 1; 1 Degnan, 2 L Wilson (Suz), 3 Gurnhill. Second: Gurnhill, 2 Degnan, 3 Wilson. Third: 1 Degnan, 2 Wilson, 3 D Ward (Kaw). First Earl of Elvington: 1 S Ferguson, 2 M Gurnhill (Hon), 3 S Degnan (Suz). Second: 1 Degnan, 2 S Ferguson, 3 Stainthorpe. Third: 1 Degnan, 2 S Ferguson, 3 Stainthorpe. Championship: 1 Toni Bou, Spain (Mon) 6, 2 Takahisa Fujinami, Japan (Mon) 21, 3 Adam Raga, Spain (Gas) 27, 4 Dougie Lampkin, GB (Bet) 31, 5 James Dabill, GB (Gas) 31, 6 Jeroni Fajardo, Spain (Bet) 33. British: 11 Michael Brown (She) 77. Junior Cup: 1 Alexz Wigg, GB (Bet) 24, 2 Jack Challoner, GB (Bet) 31, 3 Matteo Grattarola, Italy (She) 36, 4 Alfredo Gomez, Spain (Mon) 38, 5 Alexandre Ferrer, France (She) 50, 6 Guillaume Laniel, France (Gas) 57. Youths: 1 Jonathan Richardson, GB (She) 20, 2 Tanguy Mottin, France (Gas) 27, 3 Luca Cottone, France (Bet) 34. Championship: 1 Bou 20, 2 Fujinami 20, 3 Raga 31, 4 Lampkin 31, 5 Fajardo 35, 6 Marc Freixa, Spain 44. British: 10 Dabill 63, 11 Brown 63. Junior Cup: 1 Wigg 11, 2 Challoner 14, 3 Grattarola 17, 4 Gomez 19, 5 Ferrer 20, 6 Benoit Dagincourt, France (Bet) 25. Youths: 1 Richardson 5 , 2 Maxime Warenghien, Belgium (She) 15, 3 Mottin 15.